Map of the oxygen minimum zones in the tropical oceans (blue to purple), generated from World Ocean Atlas data. Professor Andreas Oschlies, GEOMAR and Kiel University, Germany. This meeting discussed the less obvious but important indirect impacts of climate change on the oceans. Increased stratification affects ocean circulation and ventilation, and leads to reduced upwelling and deep water formation. This reduces oxygenation through (still uncertain) interactions with biological production and remineralisation, with potential socio-economic consequences on fisheries and ecosystems. This meeting has taken place. Continue the discussion on twitter at #RSOceans. 09:05-09:40 Recent oxygen trends in the atmosphere and the oceans: what do we know? Human activities are causing systematic decreases in the O2 content of both the atmosphere and the oceans. The atmospheric loss is driven primarily by the burning of fossil-fuels while the oceanic loss is driven primarily by warming-induced reductions in O2 solubility and slowing of ocean circulation, i.e. reduced ventilation. Oceanic deoxygenation could have potentially large environmental consequences, particularly if continued warming leads to an expansion of hypoxic or suboxic waters, as suggested by some models. Measurements of O2 in both the ocean and atmosphere are recognized as having considerable diagnostic value, and this has fuelled an expansion of measurements and measurement capabilities in recent years. The oceanic O2 measurements have helped to establish the magnitude and mechanisms of recent O2 changes. The atmospheric O2 measurements have helped to quantify global carbon sinks and to provide a window into sources of oceanic O2 variability via the tracer atmospheric potential oxygen (APO ~ O2+CO2). APO measurements show strong signals related to ocean ventilation which vary from year to year, and the well-measured global APO trend can potentially be used to quantify the global oceanic deoxygenation rate. This talk will highlight results from oceanic and atmospheric O2 measurements in the context of ongoing changes in ocean ventilation and deoxygenation. Ralph is a climate scientist whose research interests include climate change, changes in atmospheric composition, ocean biogeochemistry, and carbon cycling. Ralph received a B.S. in physics from Yale University in 1979, and a Ph.D. in applied physics from Harvard University in 1988. He was the first to demonstrate that the oxygen concentration of the global atmosphere is decreasing due to the burning of fossil-fuels and has directed a program to track this decrease since 1989. Since 2005 he has also directed the Scripps CO2 program which sustains the iconic record of carbon dioxide at Mauna Loa and other sites, begun by his father, Charles D. Keeling. He is engaged in ongoing research to refine estimates of sources and sinks of carbon dioxide using atmospheric measurements. Ralph is an active participant in teaching and advising graduate students at the Scripps Institution of Oceanography at UC San Diego. He has given keynote addresses to the American Geophysical Union (AGU), the G8 Legislators and Business Leaders Climate Change Forum, and given the Bolin Lecture in Stockholm in 2011. 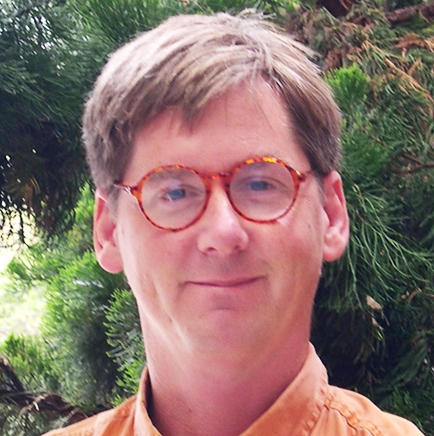 Keeling has received the Rosenstiel Award in marine and atmospheric chemistry, the Humboldt Research Award, and is a Union Fellow of the AGU. The ocean is a main player in the climate system. Owing to lack of historic observations, reliable estimates of, for instance, oceanic heat budgets were only possible after 1970. Since that time, ocean warming accounted for more than 90% of the increase in the Earth’s energy inventory, while only a small fraction heated the atmosphere, the continents, and was used for melting of sea ice, glaciers and ice sheets. The ocean also plays a major role in the long-term variability of the atmospheric temperature, and could for several years obscure the mean global temperature increase, mainly caused by anthropogenic emissions of CO2. The ocean warming also has consequences for the uptake of anthropogenic carbon by enhancing the vertical density stratification in the ocean und thus potentially reducing the ventilation of intermediate, deep, and bottom water. Changes in the intermediate water ventilation in the subpolar North Atlantic occurred from the 1990s to today, a period well covered with oceanic observations. Although caused by natural variability of atmospheric modes on multiannual time scales (i.e. the NAO), this region provides a test bed to study the processes and mechanisms to improve our understanding of the changes expected under global warming. Monika Rhein made her PhD in physics before she turned to physical oceanography. She was a Heisenberg Fellow and associate professor at the IFM Kiel (now named GEOMAR), Germany. 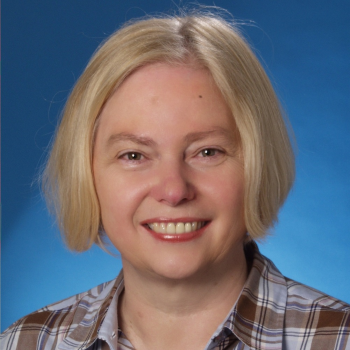 After a short period at the Institute of Baltic Research (Rostock, Germany), she moved in 2000 to the University Bremen, and since then leads the physical oceanography department. Her interest is in climate relevant processes in the ocean. Her scientific contributions focus on the Atlantic, and encompass, for instance, studies of time scales of water mass ventilation and circulation. She was Coordinating Lead Author for the fifth IPCC Assessment Report, published in 2013, and responsible for Chapter 3 “Observations: Ocean” in Working Group 1. Continental margins play fundamental roles in ocean biogeochemical cycling and are increasingly valued as a source of fisheries, energy, biodiversity and potentially mineral resources. Margin settings are highly sensitive to climate-induced changes in winds, upwelling, stratification, circulation, nutrient supply and freshwater input, all of which can affect oxygenation. Observations over the last half-century show major declines in ocean dissolved oxygen concentrations at intermediate depths, particularly on margins of the NE Pacific. Common consequences of margin deoxygenation include avoidance, range shifts, habitat compression, altered trophic structure, physiological and behavioural adaptation, with resulting changes in community composition and diversity. This presentation will examine the biological consequences of margin deoxygenation and underlying mechanisms through use of (a) natural spatial gradients associated with oxygen minimum zones (OMZs), (b) long-term, time series observations, (c) historical records from sediment cores and (d) laboratory studies of physiological tolerances and behaviour. Margins provide natural laboratories that offer a glimpse into ecosystems of the future and enable predictions regarding regions of high vulnerability to climate change. The fish and invertebrate communities on OMZ margins in the E. Pacific, N. Indian Ocean and off West Africa experience strong gradients in oxygen and other stressors that shape ecological pattern and evolutionary adaptation. Long-term data from southern California reveal habitat compression of ichthyoplankton and of benthic sea urchins consistent with deoxygenation over the last 25 years. For this same region historical sediment records document community response to oxygen fluctuations on margins over multiple time scales and laboratory experiments suggest a need to understand covariation of oxygen and CO2 on upwelling margins. 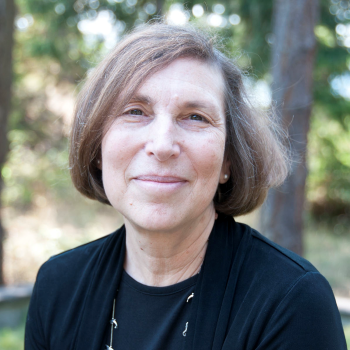 Lisa Levin is Director of Director of the Center for Marine Biodiversity and Conservation, Distinguished Professor and Oliver Chair at the Scripps Institution of Oceanography, University of California, San Diego. 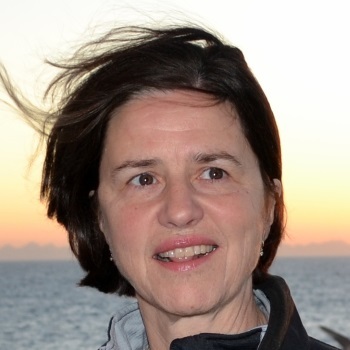 Levin's research interests include biodiversity of deep- sea continental margin ecosystems worldwide including chemosynthetic ecosystems and oxygen minimum zones and the influence of ocean deoxygenation and ocean acidification on upwelling ecosystems. She is founder and co-lead of the Deep-Ocean Stewardship Initiative and is helping to establish the Deep Ocean Observing Strategy as part of the Global Ocean Observing System. She is a Fellow of the American Geophysical Union and of the Association of AAAS. Her contributions include steering committee membership for the Census of Marine Life programs on chemosynthetic ecosystems (ChESS) and continental margins (CoMARGE), the US Ocean Carbon Biochemistry Program, membership on the BOEM scientific advisory committee for the US Outer Continental Shelf environmental studies board, and in working groups of the US National Academy of Sciences, SCOR, SCOPE, NCEAS, and INDEEP. Dr. Brewer is an ocean chemist, and Senior Scientist, at the Monterey Bay Aquarium Research Institute (MBARI). Prior to joining MBARI in 1991 he spent 24 years as a researcher at the Woods Hole Oceanographic Institution. He served as Program Manager for Ocean Chemistry at the National Science Foundation 1981-1983, receiving the NSF Sustained Superior Performance Award. He has served as Chief Scientist on major expeditions worldwide. He is a Fellow of the American Geophysical Union and of the American Association for the Advancement of Science. He is appointed as an independent scientist to the BP Gulf of Mexico Research Institute (GoMRI) Board. In 2012 he received an Einstein Visiting Professorship from the Chinese Academy of Sciences. He serves on the Major Projects Review Board of the Hong Kong University Grants Committee. At MBARI he served as President and Chief Executive Officer from 1991-1996, completing major laboratory and ship construction programs and doubling the size of the Institution, before returning to full time research. He is author, or co-author, of over 170 scientific papers, and the editor of several books. In response to anthropogenic climate change, coupled climate-marine biogeochemical models used over the past 15 years all project a long-term decrease in the ocean O2 inventory, referred to as ocean deoxygenation. This general trend is confirmed by the latest projections from the CMIP5 Earth System Models, with reductions in the ocean O2 inventory from 1.5 to 4% in 2090s relative to 1990s for all future scenarios. Largest declines are concentrated at mid-depths in the North Atlantic, North Pacific and Southern Ocean. The processes at play are linked to surface ocean warming, which reduces both O2 solubility and the rate at which the surface waters are transported downward. In the tropics however, projections of dissolved oxygen concentrations at mid-depths are not consistent across the suite of Earth System Models, leading to large uncertainties in the evolution of the oxygen minimum zones under anthropogenic global warming. There, changes in solubility and in the apparent oxygen utilization almost compensate so that projected changes in dissolved oxygen are small and inconsistent across models. In this talk, we will focus on how coupled climate models simulate the compensation between these two drivers of oxygen changes (O2 saturation and apparent oxygen utilization) across a variety of time-scales, from the Last Glacial Maximum to interannual-variability, and on how these changes propagate into O2 concentrations and the volume of oxygen minimum zones for these different time-scales. 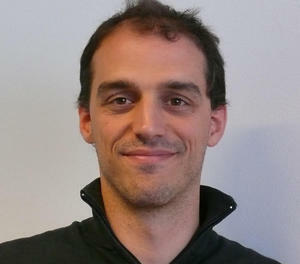 Laurent Bopp is senior scientist at the Institut Pierre-Simon Laplace in Paris, France. He received his PhD from the University of Paris in 2001. His research focuses on the links between climate, climate change and marine biogeochemistry. In particular, he has been among the first to use global climate models to explore how anthropogenic climate change might affect marine productivity & ocean dissolved oxygen concentrations. He has been involved in the last IPCC report as a lead author for the chapter on Biogeochemical Cycles. He has received the Medaille de la Societe d'Oceanographie de France in 2011. The processes regulating ocean ventilation at high latitudes are re-examined based on a range of observations spanning all scales of ocean circulation – from the basin scales of gyres to the centimeter scales of turbulence. It is shown that ocean ventilation is controlled by mechanisms that are different in important ways from those that set the ocean's overturning circulation, contrary to the common assumption of broad equivalence between the two when interpreting the role of ventilation in Earth's major climate transitions. Illustrations of how recognizing this distinction may change our view of how ventilation changes shape climate transitions will be offered. 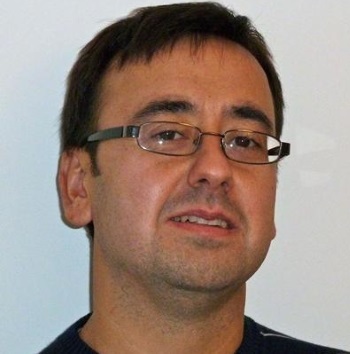 Alberto Naveira Garabato is a physical oceanographer based at Ocean and Earth Science, University of Southampton, within the National Oceanography Centre Southampton. He graduated with a BSc in Physics from the University of Southampton (1995), and was awarded a PhD in Physical Oceanography by the University of Liverpool (1999). After working as a postdoctoral researcher and a NERC Research Fellow at the University of East Anglia (1999-2005), he moved to the University of Southampton, where he now holds a Chair in Physical Oceanography. Alberto's work seeks to understand how small- and mesoscale ocean dynamics shape the large-scale ocean circulation and climate, and has a focus on the high-latitude oceans. He has led a number of international, multi-institutional projects to address significant scientific questions related to the circulation of the Southern Ocean using novel observations. He is the Director of NEXUSS, a NERC / EPSRC Centre for Doctoral Training in the use of Smart and Autonomous Observation Systems for the environmental sciences. Observational estimates and numerical models both indicate a significant decline in marine oxygen levels over the past decades. Spatial patterns, however, differ considerably between observed and modelled estimates, particularly in the tropical thermocline that hosts open-ocean oxygen minimum zones, where observations indicate a general oxygen decline, whereas most current models simulate increasing oxygen levels. Possible reasons for the apparent model-data discrepancies are examined. In order to attribute observed historical variations in oxygen levels, mechanisms of changes in oxygen supply are studied with sensitivity model simulations. Specifically, the role of equatorial jets, of lateral and diapycnal mixing processes, and of changes in the wind-driven circulation are investigated. Predominantly wind-driven changes in the low-latitude ventilation are identified as major factor contributing to oxygen changes in the low-latitude thermocline during the past decades. Possible implications for likely future climate change on the evolution of oxygen minimum zones are discussed. 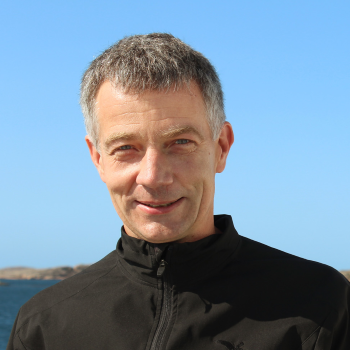 Andreas Oschlies is Professor of Marine Biogeochemical Modelling at GEOMAR and Kiel University, Germany. Having studied Theoretical Physics at Heidelberg and Cambridge, he moved into Oceanography for a PhD in Kiel and worked as PostDoc in Toulouse, Assistant Professor in Kiel and Professor of Physical Oceanography in Southampton, before moving back to Kiel in 2006. 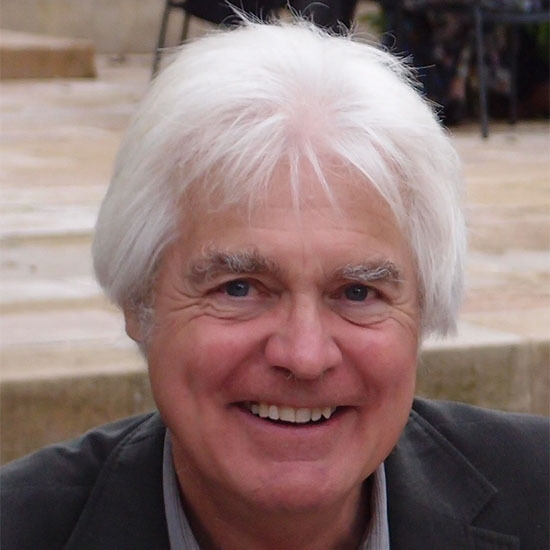 His research interests include the global carbon, nitrogen and oxygen cycles, their sensitivities to environmental change, and the development and quality assessment of numerical models appropriate to investigate these. 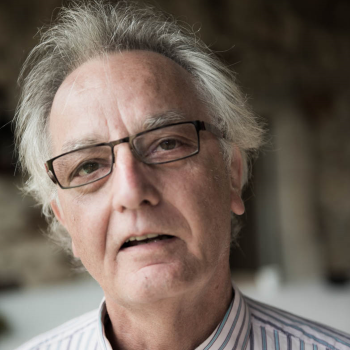 He leads the Collaborative Research Centre "Climate-Biogeochemistry Interactions in the Tropical Ocean" (SFB754) and the Priority Program “Climate Engineering: Risks, Challenges, Opportunities?” (SPP1689), both funded by the German Research Foundation. For over 50 years ocean scientists have oddly represented ocean oxygen consumption rates as a function of depth but not temperature. This unique tradition or tactic now extends across such a wide range of oceanic biogeochemical processes that it inhibits useful discussion of climate change impacts where specific and fundamental temperature dependent terms are required. Depth, but not temperature, dependent functions as of now form the basis for the most widely used climate-biogeochemical models. Tracer based determinations of oxygen consumption rates, and thus CO2, PO4 etc production rates, in the deep sea are near universally reported as a function of depth in spite of their well-known microbial basis. In recent work we have shown that a carefully determined profile of oxygen consumption rates in the Sargasso Sea can be well represented by a classical Arrhenius function with and activation energy of 86.5 kJ mol-1 leading to a Q10 of 3.63. This indicates that for 2°C warming we will have a 29% increase in ocean oxygen consumption rates, and for 3°C warming a 50% increase, leading to large scale ocean hypoxia. Here we show that the same principles apply to a world-wide collation of tracer based oxygen consumption rate data and that some 95% of ocean oxygen consumption is driven by temperature, not depth, and thus has a strong climate dependence. The Arrhenius/Eyring equations are no simple panacea and they require a non-equilibrium steady state to exist. Where transient events are in progress this stricture is not obeyed and we show one such example. This rapid injection of fresh organic material and its associated microbial population is still clearly in non-steady state and revealed as such in the observed oxygen consumption rate data. 10:00-10:40 Deoxygenation impacts on biogeochemical cycles, climatic gases, microbial activity and ecosystems. Dissolved oxygen concentration is a major determinant of the microbially mediated processes responsible for the production and turnover of climatically relevant gases in the ocean. Ocean models predict declines of 1 to 7% in the global ocean O2 inventory over the next century due to lower solubility of oxygen at warmer temperatures, and increased stratification preventing equilibration of the ocean interior with the atmosphere. Additionally, eutrophication continues to lead to hypoxic or anoxic conditions in the coastal zone. Due to microbial respiration, water separated from equilibration with the atmosphere by increased stratification will contain both low O2 and high CO2 concentrations. Low oxygen environments enable the production of nitrous oxide as a by-product of nitrification and denitrification and methane through anaerobic methanogenesis, with most O2 deficient systems acting as net sources of CO2, N2O and CH4 to the atmosphere. This presentation will provide an overview of the effect of ocean deoxygenation on microbial community structure and the cycling of climatically important gases including CO2, N2O and CH4. Carol Robinson is a marine biogeochemist in the School of Environmental Sciences at the University of East Anglia. Her research focuses on the role of bacteria, phytoplankton and zooplankton in the cycling of oxygen and carbon dioxide in the marine environment, and how this varies in space and time and with changing environmental conditions such as increasing organic and inorganic nutrient supply, temperature, and CO2 and decreasing O2. Recent projects have included the impact of coastal upwelling on the air-sea exchange of climate relevant gases, the linkage between plankton community structure and the N Atlantic carbon sink, factors controlling the microbial recalcitrance of dissolved organic material, zooplankton mediated flux of carbon in the S Atlantic and the variability of plankton respiration in the mid ocean oligotrophic gyres. 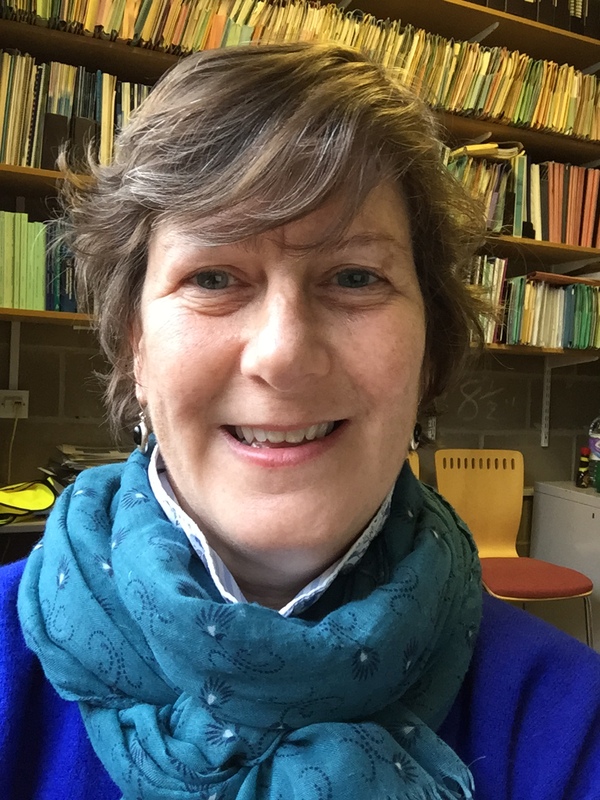 Carol is a Fellow of the Royal Society of Biology and Chair of the scientific steering committee of the SCOR / Future Earth programme Integrated Marine Biogeochemical and Ecosystem Research (IMBER). She also served a term as President of the Challenger Society for Marine Science. The major biogeochemical cycles which keep the present-day Earth habitable are linked by a network of feedbacks which has led to a broadly stable chemical composition of the oceans and atmosphere over hundreds of millions of years. This includes the processes which control both the atmospheric and oceanic concentrations of oxygen. However, one notable exception to the generally well-behaved dynamics of this system is the propensity for episodes of ocean anoxia to occur and to persist for 105 – 106 years, these OAEs (Ocean Anoxic Events) being particularly associated with warm “greenhouse” climates. OAEs are, we believe, amplified by positive feedbacks on the nutrient content of the ocean: low oxygen promotes the release of phosphorus from ocean sediments, which increases ocean productivity and drives more anoxia in the subsurface water, leading to a potentially self-sustaining condition of deoxygenation. The rapidly increasing degree of ocean deoxygenation occurring today as a result of the warming climate could conceivably result in such a very long-lasting and unpleasant consequence for the Earth’s biogeochemical cycles which underpin the “life support” system of the biosphere. Major deoxygenation commonly takes place in ocean regions that feature particularly intense coastal upwelling circulations. Prominent examples discussed herein include the seasonal Somali Current upwelling, which during the southwest monsoon becomes the most intense coastal upwelling cell existing in the world’s oceans, and the upwelling that occurs on a more continuous basis in the ocean off Lüderitz, Namibia, constituting the most intense of the world’s “classical” eastern ocean boundary upwelling systems. Concerns about enhanced ocean deoxygenation arise in view of the arguable likelihood that coastal upwelling systems around the world may further intensify as anthropogenic climate change proceeds. Another suggestive example is the sudden seasonal appearance, just a decade and a half ago of an oxygen deficient “dead zone” that has since become quite a reliable annually recurring phenomena off the U.S. State of Oregon. This apparent “transience” in the causal dynamics is somewhat mirrored in an observed interannual–scale intermittence in the situation off Namibia. A mechanistic scheme that may draw these examples into a common context is presented. The strength of horizontal surface flow divergence that drives the upwelling circulation, the pattern of horizontal flow vorticity and the potentially manageable abundance of strongly swimming small pelagic fish appear in this scheme as plausible controlling variables. 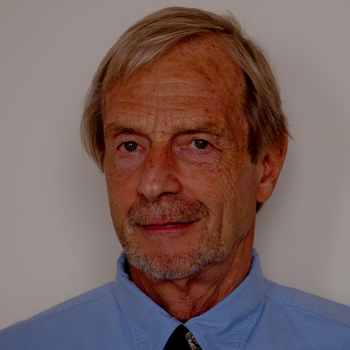 Andrew Bakun is currently a Professor of Marine Ecosystem and Society in the Rosenstiel School of Marine and Atmospheric Science of the University of Miami (Florida, USA). Bakun has worked as a professional in marine scientific research for more than half a century within a variety of national agencies, international agencies, and private academic institutions, including the International Indian Ocean Expedition, the Food and Agriculture Organization of the United Nations, IRD (France), NOAA-NMFS (USA), the International Research Institute for Climate Prediction (Columbia University, USA), and the University of Miami (USA). He has served on numerous international and national scientific advisory panels (e.g., serving continuously as Chairman of the Scientific Guiding Group for the international IOC/FAO/SCOR Program of Ocean Science and Living Resources throughout its entire duration, 1984-1994). Bakun was the 2011 Awardee of the Great Medal of Albert 1, Prince of Monaco in recognition of his lifetime accomplishment in marine science. Secular decreases in dissolved oxygen concentration have been observed within the tropical Oxygen Minimum Zones (OMZs) and at mid- to high latitudes over the last ~ 50 years. Whilst a pervasive feature of recent Earth System Model (ESM) projections is a reduction in the ocean’s oxygen inventory in response to anthropogenic warming, current models are unable to consistently reproduce observed trends and variability, particularly within the OMZs. 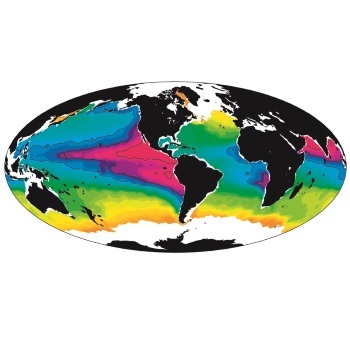 Here we conduct a series of targeted hindcast experiments using a state-of-the-art global ecosystem model (PlankTOM10-NEMO) including idealised model experiments forced with observationally derived oxygen trends (1960 – 2010) in order to explore and review biases in model distributions of oceanic oxygen. Using a model representation of marine nitrous oxide (N2O) cycling we investigate the implications of simulated changes in oxygen for historical emissions of N2O. Despite occupying less than 10 % of the ocean by volume, hypoxic and suboxic waters account for ~ 25–50 % of open ocean N2O production as a consequence of both enhanced denitrification and improved N2O yields from nitrification under low-O2 conditions. We show that the inability of models to reproduce historical shoaling and expansion of established tropical OMZs causes major discrepancies in estimates of oceanic N2O production. Using historical oxygen fields from a range of Coupled Model Intercomparison Project Phase 5 (CMIP5) simulations we also assess recent past and projected changes in marine N2O from current generation ESMs. 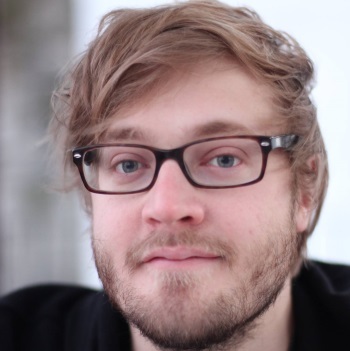 Oliver Andrews is a Senior Research Associate within the Tyndall Centre for Climate Change Research at the University of East Anglia, UK. His research synthesises information from numerical models and observations to better understand the impact of climate change on physical and biogeochemical processes in the ocean. Dr. Andrews received his PhD from the School of Environmental Sciences, UEA, having carried out research on the fingerprints and drivers of recent changes in oceanic oxygen at regional and global scales. He received an MSci in Environmental Geoscience from the Department of Earth Sciences at the University of Bristol. 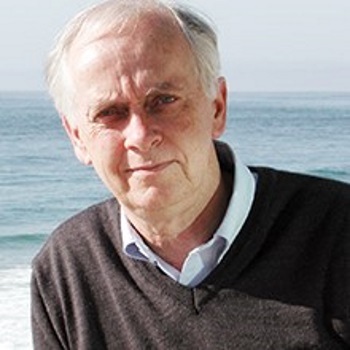 He was a contributing author to IPCC Fifth Assessment Report, where he provided a review of future ocean deoxygenation. From an Earth system (ES) perspective, ocean feedbacks on the global carbon cycle (and, thereby, climate system) are of particular interest. While the physical ocean feedbacks in the climate system are relatively well constrained, the biologically mediated feedbacks remain poorly understood. Here, the current understanding of these biological feedbacks is examined with a focus on identifying areas in urgent need of further study. The temperature sensitivity of bacterial respiration in the surface layer of the ocean is reasonably well quantified and substantial changes in the distributions of oxygen and nutrient turnover in the ocean are projected in response to changes in bacterial activity in a warming world, leading to significant changes in the surface ocean-atmosphere CO2 flux. Biologically-mediated surface to deep ocean carbon flux in the form of particulate organic carbon (POC), i.e., the “biological pump”, is also critically important for the global carbon cycle. It is often assumed on the basis of model studies that the magnitude of POC produced in surface waters will decrease in a warmer ocean as increased stratification will reduce the delivery of nutrients to the surface layer and, thereby, reduce phytoplankton photosynthesis, i.e., the primary source of POC production. This assumption warrants re-examination for several reasons. 1) increased bacterial activity in the surface layer will increase the regeneration of inorganic nutrients in this layer; 2) our limited understanding of the vertical distribution of ocean photosynthesis and 3) limited understanding of the relationship between different plankton ecosystem types and the efficiency of the biological pump. Katherine Richardson is a professor in biological oceanography at the University of Copenhagen and leader of the Sustainability Science Centre (www.sustainability.ku.dk). She was Chairman of the Danish Commission on Climate Change Policy which reported in 2010 and presented a roadmap for how Denmark can become independent of fossil fuels by 2050. At present she is member of the Danish Climate Council. She is a principle investigator in the Center for Macroecology, Evolution and Climate (www.macroecology.ku.dk) where her research focuses on the importance of biological processes in the ocean for the uptake of CO2 from the atmosphere and how ocean biology, including diversity, contributes to ocean function in the Earth System. She is active both as a member in and/or chairperson for a number of national and international research committee/ advisory boards. She has published over 100 scientific papers and book chapters.